A versatile 10-30mm standard zoom lens perfect for family outings, group shots and portraits, this lens brings precision to most lighting scenarios with a f/3.5-5.6 maximum aperture range (picture angle equivalent of a 27-81mm in 35mm format). Vibration Reduction (VR) reduces the chance of blurred photos. Retractable lens barrel mechanism reduces overall size for increased portability. Whether the whole family or just a single person, the 10-30mm is the perfect lens to frame the moment. Versatility and precision are yours when photographing from wide to tight portrait looks. The 1 NIKKOR 10-30mm lens applies three aspherical lens elements to ensure only the highest quality images—even at the widest aperture settings—are obtained. You know most family shots are taken while on the go. Count on Vibration Reduction (VR) to keep your pictures blur-free. Frame that wonderful ocean shot or sun setting over the bridge. 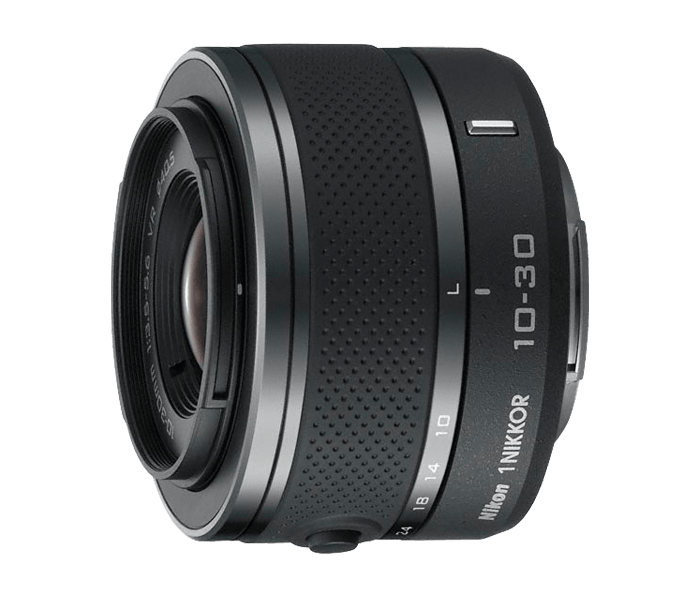 A superior all-around lens, the 10-30mm commands sharp focus with excellent delivery of details in images taken far away. Versatility is yours as you frame wide camera angles, just the way you like or smoothly zoom out until you find exactly the right balance of details to include in your shot. Use the full reach of the 10-30mm and bring subjects close. For when you cannot get right up to the action, a 30mm zoom may be just right. Hone in on your subject and hit the shutter. Even at this magnification your photos come out crystal clear and sharp with Vibration Reduction (VR).